It's a thrill to find a coffee liqueur that tastes like, well, coffee. You can’t make a classic espresso martini or a White Russian without coffee liqueur. But as a group, coffee liqueurs haven’t really been embraced by the mixology set. They’re often relegated to the dusty-bottle shelf of unloved after-dinner drinks, sweet and one-note and not particularly appealing. So it’s a thrill to find a coffee liqueur that tastes like, well, coffee. Mr. Black, a “cold brew coffee liqueur,” is made in Australia—one of the world’s truly coffee-obsessed nations. Tasting richly of coffee beans, it’s caffeinated enough for a mild jolt and delicious enough to drink on its own, but, we think, truly shines in cocktails. Here are three drinks to show it off. While a traditional espresso martini includes (wait for it) espresso, the coffee flavor of Mr. Black is pronounced enough that you don’t really need it. A dash of Angostura bitters lends some warm complexity, while a lemon twist brightens it all up. Instructions: In a mixing glass with ice, combine an ounce and a half of vodka, an ounce of coffee liqueur, half an ounce of simple syrup, and a dash of Angostura bitters. Stir until very well-chilled, and strain into a chilled cocktail glass. Garnish with a long lemon peel, twisting it to spritz its citrus oils all over. 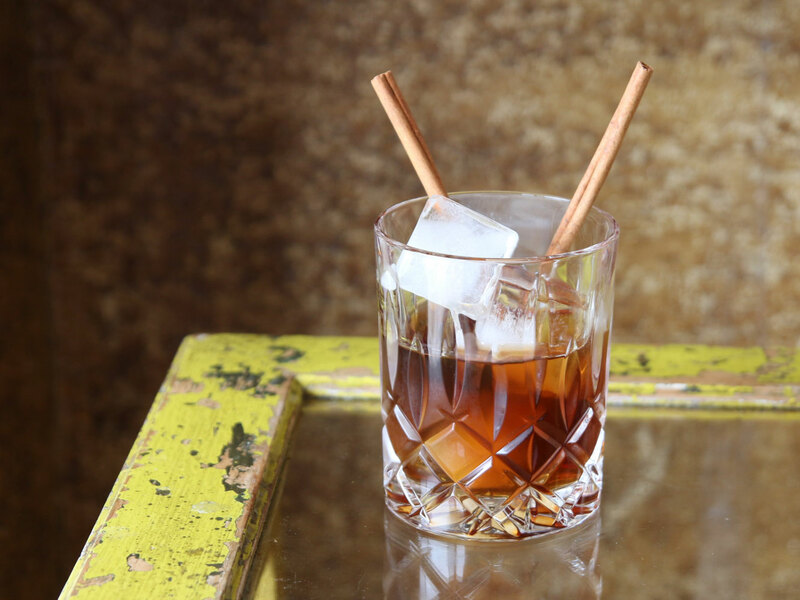 The rich character and mellow sweetness of a good dark rum works perfectly with Mr. Black, while using a bit of raw sugar syrup adds body and weight. Consider this a dessert cocktail for those who aren’t a fan of the genre; it’s smooth and sippable, rather than cloyingly sweet. 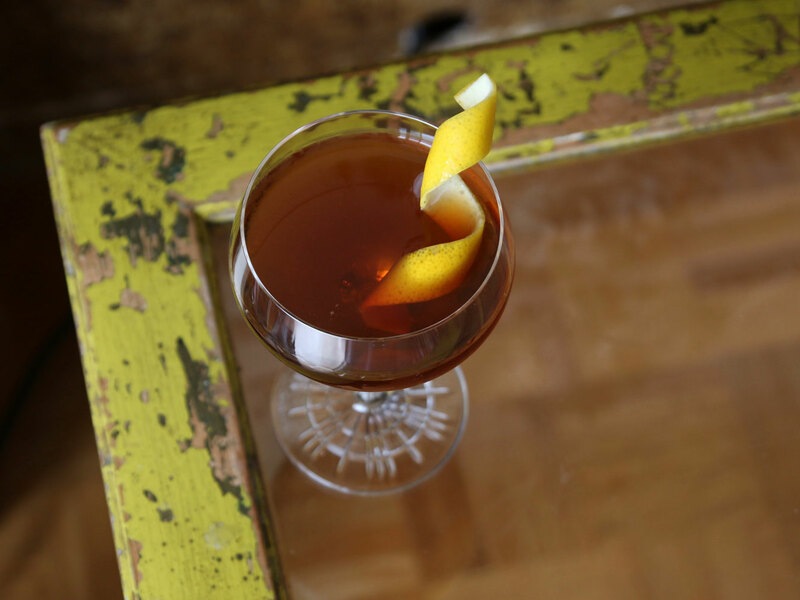 Instructions: In a mixing glass with ice, combine an ounce and a half of dark rum, an ounce of coffee liqueur, half an ounce of raw sugar syrup (that’s Sugar in the Raw, or similar, dissolved 1:1 in hot water), and two dashes of orange bitters. Stir until very well-chilled, and strain into a rocks glass with fresh ice. Garnish with a few cinnamon sticks, just for fun. Okay, and here’s a dessert cocktail that’s actually dessert. 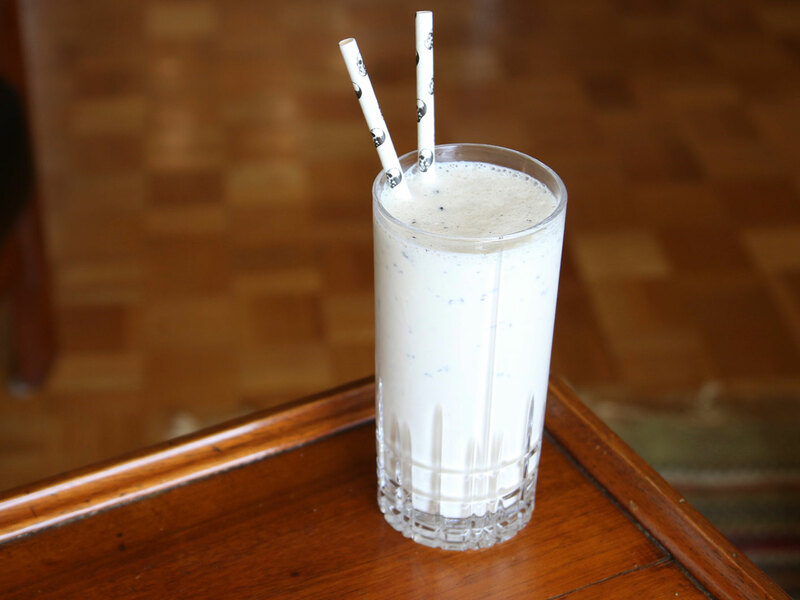 Booze up a rich vanilla milkshake with loveable Irish whiskey, a good dose of Mr. Black, and whole coffee beans, which get pulverized in the blender for little flecks of coffee flavor. Perhaps not the most highbrow of cocktails, but can you really look at this and not want one! Instructions: In a blender, combine a pint (2 cups) of vanilla ice cream, three ounces of Irish whiskey, two ounces of coffee liqueur, and 4 ounces of half-and-half, along with a teaspoon of coffee beans. Blend until smooth, and serve in two tall glasses with straws.